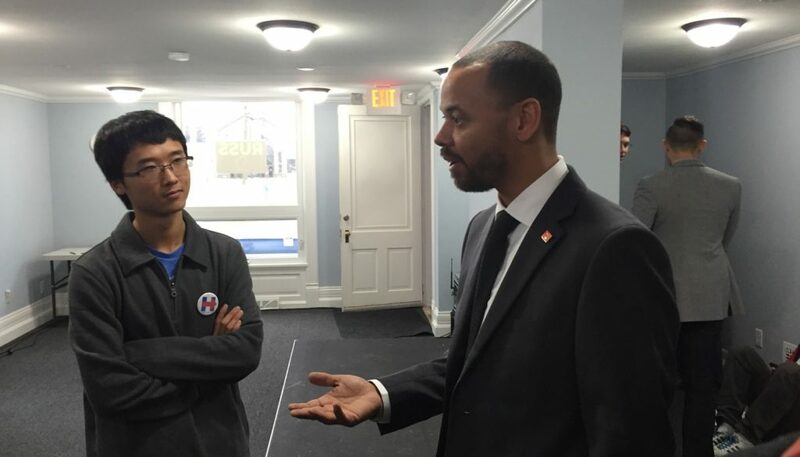 As someone who lives every day in the memory of his mother’s gun-enabled suicide, Khary believes that common sense safety measures must taken to protect our communities. A firearm should never be used to settle an emotional score or to panic the general public, and people who only want firearms for those reasons should not have them. That belief does not conflict with his respect for Wisconsin’s centuries of hunting heritage or his respect of the Second Amendment. He understands that if every American lived by the same standards of responsible gun use that Wisconsin’s licensed hunters observe, America would be a much safer nation. UNIVERSAL BACKGROUND CHECKS: Universal background checks are the most comprehensive way to reduce gun violence. Having background checks that extend to in-person sales and includes all types of guns, can help to reduce gun violence overall and can mitigate the problems that arise when neighboring states have divergent gun laws. Universal background checks are supported by ninety percent of the American people, including more than 80 percent of Republicans and more than 70 percent of gun owners. IMPROVED MENTAL HEALTH CARE: Khary will work in Congress to ensure that the Federal government involves States, healthcare professionals, and private insurers to establish better long-term mental health care and screening techniques. ENHANCED DOMESTIC VIOLENCE PROTECTION: Make the recently enacted Wisconsin bipartisan domestic violence law (the SAFE Act), which restricts weapons possession in domestic violence cases, into a model for federal legislation. Many states still don’t have a mechanism in place to remove firearms from the possession of a convicted domestic abuser. This is something that needs to change: 51 women are shot and killed every month by a current or former intimate partner. The best indicator of future violence is prior violence. CLOSING THE TERROR GAP: Implement firearm restrictions for suspected persons on the federal no-fly list to prevent terrorist attacks. If a person should be prohibited from boarding a plane, they should be prohibited from purchasing a gun. It would be imperative to provide a process by which a mistaken entry onto the list can be properly rectified, so that a person is able to get their name removed from the list.